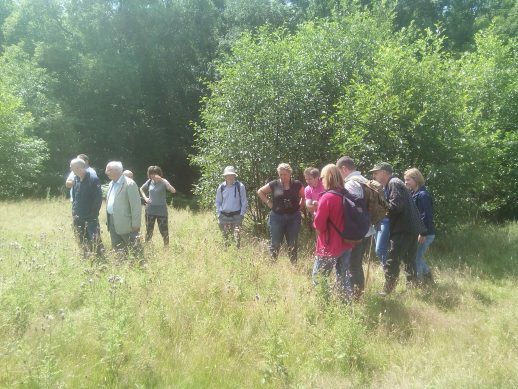 The last in our series of butterfly workshops was held at Combwell, an SSSI (Site of Special Scientific Interest) in the heart of the High Weald of Kent. 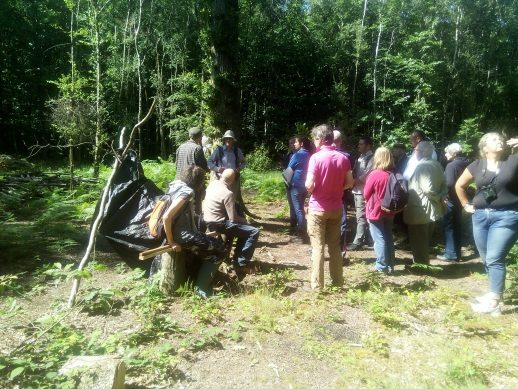 It was well attended by about 18 owners and other interested parties who enjoyed a breezy, but mostly sunny and dry tour of the woods. 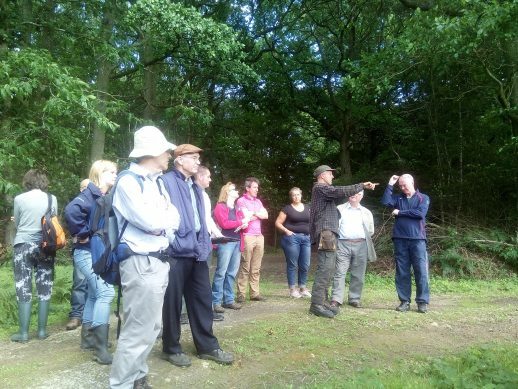 Steve Wheatly from Butterfly Conservation jointly led with Mark Herbert. 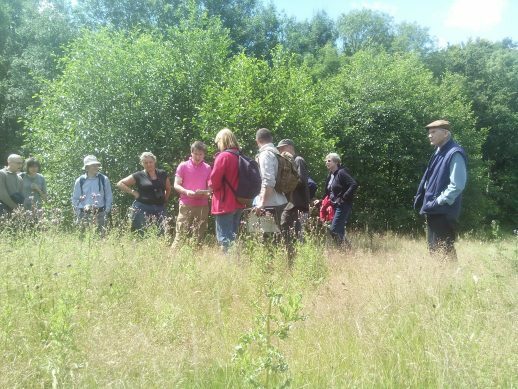 Mark is the onsite ‘warden’ and owns a couple of wild flower meadows which are surrounded on three sides by the woodland. This makes it an ideal habitat for wildlife particularly butterflies. Mark works closely with both Natural England and the other owners carrying out woodland management tasks like the thinning of standards, hedge laying and ride improvements to preserve this special wildlife habitat. 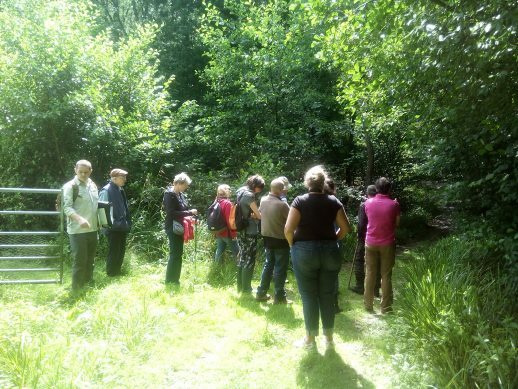 Many thanks to the Butterfly Conservation for helping us put on this series of workshops. I’m sure everyone who went along, even on the wettest of wet day in Tottington learnt something and found it a very worthwhile experience.